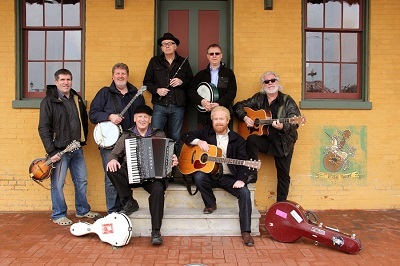 The story of The Irish Rovers is one for the big screen; hosting three award-winning television series, topping the music charts again and again, several appearances as musical bank robbers on "The Virginian", and more than 46 years of international recordings and touring their music around the world. The Rovers hail from Ireland and one from Scotland, however the band formed in Toronto, Canada. They have produced over 40 albums in North America and many more internationally. "The Unicorn" left us all with a tear or two, plus the unanswered question, 'Whatever happened to the Unicorns when the ark left them stranded on the shore?' Since that first big hit, the band returned to the charts 15 more times, nevertheless the magic of "The Unicorn" remained. 2018 is the Gold Anniversary of "The Unicorn" hitting the top of the charts, which took the Rovers from folk clubs of America to concert halls and television sets worldwide. The days of the long tours are coming to an end for these lads as they are now completing one last world tour.